Pernambuco ([pɛʁnɐ̃ˈbuku]) is a state of Brazil, located in the Northeast region of the country. The state of Pernambuco also includes the archipelago Fernando de Noronha. With an estimated population of 9.2 million people in 2013, it is the seventh most populous state of Brazil, and is the sixth most densely populated and the 19th most extensive among the states and territories of the country. Its capital and largest city, Recife, is one of the most important economic and urban hubs in the country. As of 2013 estimates, Recife's metropolitan area is the fifth most populous in the country, and the largest urban agglomeration in Northeast Brazil. In 1982 the city of Olinda, the second oldest city in Brazil, was declared a World Heritage Site by UNESCO. Recife, the state capital and Olinda have one of the most traditional Brazilian Carnivals. Both have architecture of Portugal, with centuries-old casarões (colonial houses) and churches, kilometers of beaches and much culture. The proximity of the equator guarantees sunshine throughout the year, with average temperatures of 26 °C (79 °F). Pernambuco comprises a comparatively narrow coastal zone, a high inland plateau, and an intermediate zone formed by the terraces and slopes between the two. Its surface is much broken by the remains of the ancient plateau which has been worn down by erosion, leaving escarpments and ranges of flat-topped mountains, called chapadas, capped in places by horizontal layers of sandstone. Ranges of these chapadas form the boundary lines with three states–the Serra dos Irmãos and Serra Vermelha with Piauí, the Serra do Araripe with Ceará, and the Serra dos Cariris Velhos with Paraíba. The coastal area is fertile, and was formerly covered by the humid Pernambuco coastal forests, the northern extension of the Atlantic Forests (Mata Atlântica) of eastern Brazil. It is now place to extensive sugar cane plantations. It has a hot, humid climate, relieved to some extent by the south-east trade winds. The middle zone, called the agreste region, has a drier climate and lighter vegetation, including the semi-deciduous Pernambuco interior forests, where many trees lose their leaves in the dry season. The inland region, called the sertão is high, stony, and dry, and frequently devastated by prolonged droughts (secas). The climate is characterized by hot days and cool nights. There are two clearly defined seasons, a rainy season from March to June, and a dry season for the remaining months. The interior of the state is covered mostly by the dry thorny scrub vegetation called caatinga. The Rio São Francisco is the main water source for this area. The climate is more mild in the countryside of the state because of the Borborema Plateau ("Planalto da Borborema", popularly known as "Serra das Russas" or "Russians' Mountain"). Some towns are located more than 1000 meters above sea level, and temperatures there can descend to 10 °C (50 °F) and even 5 °C (41 °F) in some cities (i.e., Triunfo) during the winter. The island of Fernando de Noronha in the Atlantic Ocean, 535 km northeast of Recife, has been part of Pernambuco since 1988. The rivers of the state include a number of small plateau streams flowing southward to the São Francisco River, and several large streams in the eastern part flowing eastward to the Atlantic. The former are the Moxotó, Ema, Pajeú, Terra Nova, Brigida, Boa Vista and Pontai, and are dry channels the greater part of the year. The largest of the coastal rivers are the Goiana River, which is formed by the confluence of the Tracunhaem and Capibaribe-mirim, and drains a rich agricultural region in the north-east part of the state; the Capibaribe, which has its source in the Serra de Jacarara and flows eastward to the Atlantic at Recife with a course of nearly 300 miles (480 km); the Ipojuca, which rises in the Serra de Aldeia Velha and reaches the coast south of Recife; the Serinhaen; and the Uná. A large tributary of the Uná, the Rio Jacuhipe, forms part of the boundary line with Alagoas. Originally inhabited by numerous tribes of Tupi-Guarani speaking indigenous peoples, Pernambuco was first settled by the Portuguese in the 16th century. The French under Bertrand d'Ornesan tried to establish a French trading post at Pernambuco in 1531. Shortly after King John III of Portugal created the Hereditary Captaincies in 1534, Pernambuco was granted to Duarte Coelho, who arrived in Nova Lusitânia (or "New Lusitania") in 1535. Duarte directed military actions against the French-allied Caetés Indians and upon their defeat in 1537 established a settlement at the site of a former Marin Indian village, henceforth known as Olinda, as well as another village at Igarassu. Due to the cultivation of sugar and cotton, Pernambuco was one of the few prosperous captaincies (the other notable one being São Vicente). 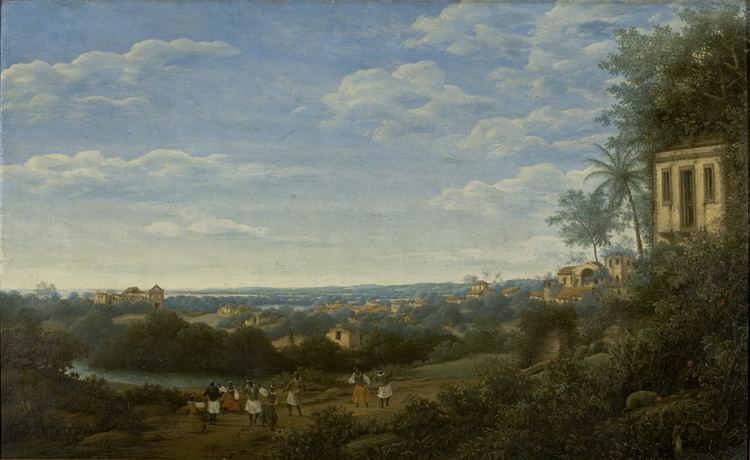 With the support of the Dutch West India Company, sugar mills (engenho) were built and a sugar-based economy developed. In 1612, Pernambuco produced 14,000 tons of sugar; in the 1640s, more than 24,000 tons of sugar were exported to Amsterdam alone. While the sugar industry relied at first on the labor of indigenous peoples, especially the Tupis and Tapuyas, high mortality and economic growth led to the importation of enslaved Africans from the late 17th century. Some of these slaves escaped the sugar-producing coastal regions and formed independent inland communities called mocambos, including Palmares. 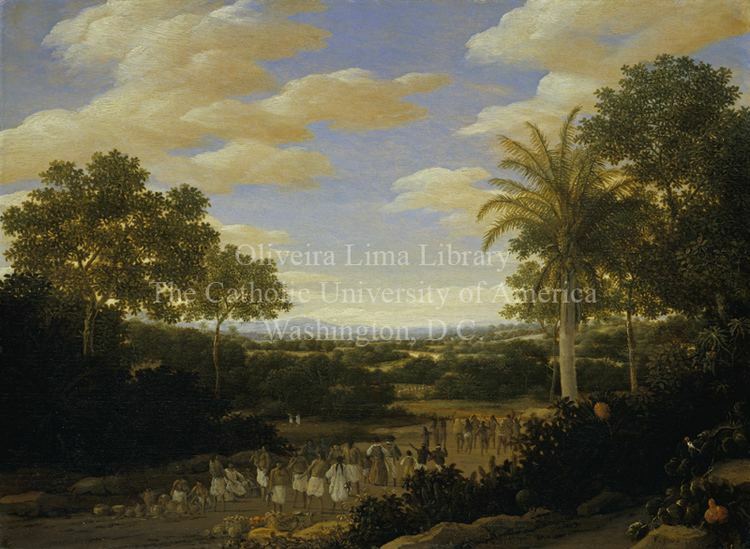 In 1630, Pernambuco, as well as many Portuguese possessions in Brazil, was occupied by the Dutch. The occupation was strongly resisted and the Dutch conquest was only partially successful, it was finally repelled by the Spaniards. In the interim, thousands of the enslaved Africans had fled to Palmares, and soon the mocambos there had grown into two significant states. The Dutch Republic, who allowed sugar production to remain in Portuguese hands, regarded suppression of Palmares important, but they were unsuccessful. Johan Maurits van Nassau-Siegen, count of Nassau, was appointed as ruler of the Nieuw Holland (Dutch colonization enterprise in Brazil). Nassau's government built Vitória or The Victore (Recife) on delta islands, which have similarities to Salvador's topography. 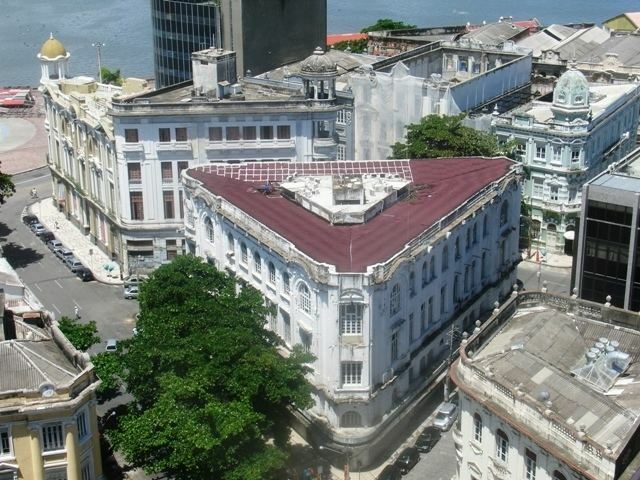 This moved the political focus from Olinda to Recife. Nassau's Dutch administration was noted for advancements in urbanism, culture, and science. The Dutch legacy is still recognizable in Pernambuco's people, accent and architecture. The Portuguese reconquered Recife in 1654 and Olinda regained its status of political center. However, Recife remained the commercial /port city. If the Dutch were gone, however, the threat of the now unified quilombo of Palmares remained. In spite of a treaty negotiated in 1678 with its ruler Ganga Zumba, a war between the two remained. Zumbi who became ruler following the peace treaty and later repudiated it, fought the Portuguese government until 1694 when soldiers brought from the south eventually defeated him. In 1710 the Mascate War took place in Pernambuco. This conflict set the mascates (traveling salesman) from Recife against the establishment hosted in Olinda and led by the Senhores de Engenho (owners of the sugar mills, literally: sugar mill lords). Pernambuco was the site of the most important rebellions and insurrections in Brazilian history, especially in the 19th century. 1817 was the year of the Pernambucan Revolution, a republican separatist movement which resulted in the creation of the Republic of Pernambuco. The main cause of the revolution was dissatisfaction with the colonial administration. The republic was declared on 7 March 1817. After military intervention, the secession ended on 20 May 1817. The republic's flag is the current flag of Pernambuco. As a reaction to the Emperor Dom Pedro I dissolution of the Constituent Assembly, the Confederation of the Equator was set up on 2 July 1824. The Confederation was another separatist movement which encompassed the provinces of Pernambuco, Paraíba, Rio Grande do Norte, and Ceará. On 29 November 1824, the Confederation's forces capitulated to the Imperial army. Pernambuco was the site of the brief liberal republican Praieira revolt in 1848, which was Brazil's response to the European year of failed liberal revolutions. Deodoro da Fonseca, the marshal who crushed the revolt, much later overthrew Emperor Pedro II, and served as the first president of the Brazilian republic. In the 17th century, the Netherlands was experiencing a surge of freedom and progress, and wanted to expand their colonies in the American continent. Its society, its economy and the arts (which included paintings of great beauty and high artistic level) experienced the benefits of modern capitalism, driven by the ambition of a powerful bourgeoisie. A symbolic expression of this new economy was a branch of the Dutch West India Company – that would be called a transnational corporation today – which had influence throughout the world and controlled much of the trade between East and West. A Board of nineteen members appointed Prince Johan Maurits, Count of Nassau, Governor of Pernambuco. It was an auspicious choice for Northeast, because he was a lover of the arts, a versatile and competent talent, with a deep interest in the New World. In 1637 he opened his government guidelines quite different from those of the Portuguese colonists, declaring "Freedom of Religion and Trade". His entourage contained traders, artists, planners, German and Dutch citizens. He was accompanied by six painters, including Jonh Post and Albert Eckhout. Nassau also created an environment of Dutch religious tolerance, new to Portuguese America and irritating to his Calvinist associates. 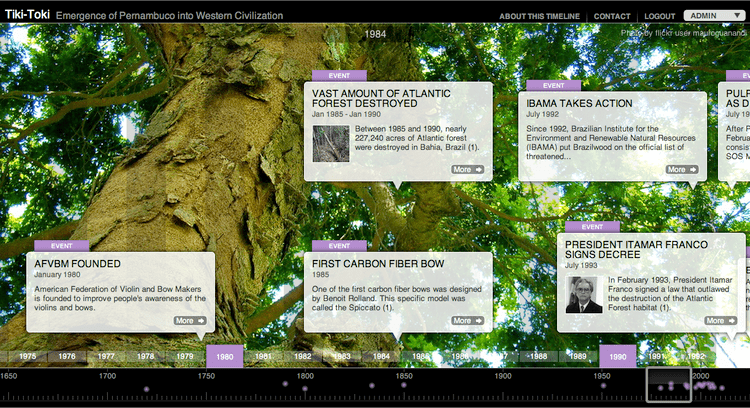 Nassau was the first to replace sugar production monoculture with an economic polyculture. In 1630, Indian West Islands Company once again turned its interest to the Captaincies of the Dutch colony in the Americas. Due to the Iberian Union (1580-1640), the Dutch Republic (which was dominated by Spain, but later became independent) saw in Pernambuco the opportunity to strike Spain and to compensate for the loss due to the failure of Dutch management. On 26 December 1629, a squad with 66 vessels and 7280 men left São Vicente, Cape Verde, heading to Pernambuco. Nowadays, it is credited that the majority of the inhabitants of the pernambuco's agreste has some Dutch ancestry. According to the IBGE of 2009, there were 8,745,000 people residing in the state. The population density was 89.6 inhabitants per square kilometre (232/sq mi). Urbanization: 77% (2006); Population growth: 1.2% (1991–2000); Houses: 2,348,000 (2006). The former Latin Catholic Territorial Prelature of Pernambuco became the Metropolitan Archdiocese of Olinda & Recife, with these suffragan dioceses in its ecclesiastical province (all in Pernambuco) : Diocese of Afogados da Ingazeira, Diocese of Caruaru, Diocese of Floresta, Diocese of Garanhuns, Diocese of Nazaré, Diocese of Palmares, Diocese of Pesqueira, Diocese of Petrolina and Diocese of Salgueiro. The last PNAD (National Research for Sample of Domiciles) census revealed the following numbers: 4,799,000 Brown (Multiracial) people (54.87%), 3,307,000 White people (37.81%), 561,000 Black people (6.42%), 41,000 Amerindian people (0.47%), 31,000 Asian people (0.36%). Mixed-race (those of mixed African and Portuguese ancestry) are more common in the coast. Mamelucos (those of mixed Amerindian and Portuguese ancestry) are more common in the interior (Sertão). Whites of colonial Portuguese descent are present as well. According to a genetic study from 2013, Brazilians in Pernambuco have 56.8% European, 27.9% African and 15.3% Amerindian ancestries, respectively. The service sector is the largest component of GDP at 73.2%, followed by the industrial sector at 21.6%. Agribusiness represents 5.2% of GDP (2006). Pernambuco exports: sugar 35.6%, fruit and juice 12.6%, fish and crustacean 12.3%, electric products 11.1%, chemicals 7.1%, woven 5.6% (2002). According with IBGE, in 2007 Pernambuco has 2.34% share of the Brazilian economy and 17.9% share of the Northeast region economy. It's the 10th largest economy of the whole country. The GDP for the state was R$104,394,000,000 (2011), and the per capita income was R$11,776. The economy is based on agriculture (sugarcane, manioc), livestock farming and creations, as well as industry (shipbuilding, automotive, chemical, metallurgical, electronic, textile, alimentary). In the period of October 2005 to October 2006, the industrial growth of the state was the second biggest in Brazil – 6.3%, more than double the national average in the same period (2.3%). Another segment that deserves to be highlighted is mineral extraction. The pole gesseiro of Araripina is the supplier from 95% of the plaster consumed in Brazil. The pole of data processing of the Recife, Digital Port, despite having started in 2000, is one of the five biggest in Brazil. It employs around three thousand persons, and has 3.5% the GDP of the state. According with IBGE 2007, Pernambuco has the 2nd largest livestock portfolio in the Northeast region and the 8th of Brazil. Pernambuco State has the 5th highest sugarcane Brazilian production. Brazil is the second largest producer of alcohol fuel in the world, typically fermenting ethanol from sugarcane and sugar beets. The country produces a total of 18 billion liters annually, of which 3.5 billion are exported, 2 billion of them to the US. Alcohol-fueled cars started in the Brazilian market in 1978 and became quite popular because of heavy subsidy, but in the 80s prices rose and gasoline regained the leading market share. But from 2004 on, alcohol rapidly increased its market share once again because of new technologies involving hybrid fuel car engines called "Flex" by all major car manufacturers (Volkswagen, General Motors, Ford, Peugeot, Honda, Citroën, Fiat, etc.). "Flex" engines work with gasoline, alcohol or any mixture of both fuels. As of February 2007, approximately 80% of new vehicles sold in Brazil are hybrid fuel powered. Because of the Brazilian lead in production and technology, many countries became very interested in importing alcohol fuel and adopting the "Flex" vehicle concept. On 7 March 2007, US president George W. Bush visited the city of São Paulo to sign agreements with Brazilian president Lula on importing alcohol and its technology as an alternative fuel. The four-day period before Lent leading up to Ash Wednesday is carnival time in Brazil. Rich and poor alike forget their cares as they party in the streets. Pernambuco has large Carnaval celebrations, including the frevo, typical Pernambuco music. Another famous carnaval music style from Pernambuco is maracatu. The cities of Recife and Olinda hold the most authentic and democratic carnaval celebrations in Brazil. The largest carnaval parade in all of Brazil is Galo da Madrugada, which takes place in downtown Recife in the Saturday of carnaval. Another famous event is the Noite dos Tambores Silenciosos. Recife’s joyous Carnaval is nationally known, attracting thousands of people every year. The party starts a week before the official date, with electric trios “shaking” the Boa Viagem district. On Friday, people take to the streets to enjoy themselves to the sound of frevo and to dance with maracatu, ciranda, caboclinhos, afoxé, reggae and manguebeat (cultural movement created in Recife during the 1990s) groups. There are still many other entertainment centres around the city, featuring local and national artists. One of the highlights is Saturday when more than one million people follow the Galo da Madrugada group. From Sunday to Monday, there is the Night of the Silent Drums, on the Pátio do Terço, where Maracatus honor slaves that died in prisons. Festa Junina was introduced to Northeastern Brazil by the Portuguese, for whom Saint John's day (also celebrated as Midsummer Day in several European countries), on 24 June, is one of the oldest and most popular celebrations of the year. Differently, of course, from what happens on the European Midsummer Day, the festivities in Brazil do not take place during the summer solstice, but during the tropical winter solstice. The festivities traditionally begin after the 12 June, on the eve of Saint Anthony's day, and last until the 29th, which is Saint Peter's day. During these fifteen days, there are bonfires, fireworks, and folk dancing in the streets. Once exclusively a rural festival, today, in Brazil, it is largely a city festival during which people joyfully and theatrically mimic peasant stereotypes and clichés in a spirit of jokes and good times. Typical refreshments and dishes are served, including canjica and pamonha. It should be noted that, like during Carnival, these festivities involve costume-wearing (in this case, peasant costumes), dancing, heavy drinking, and visual spectacles (fireworks display and folk dancing). Like what happens on Midsummer and Saint John's Day in Europe, bonfires are a central part of these festivities in Brazil. 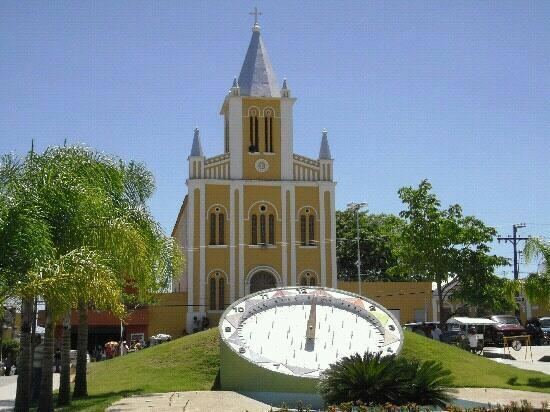 Saint John's Day is celebrated throughout Pernambuco. Nonetheless, the festivities in Caruaru are by far the largest in the state. Saint John's festivals in Gravatá and Carpina are also very popular. In the hilly areas of the interior – mainly in areas with a micro-climate of altitude – temperatures that can reach 8 °C in the winter. Every winter, when the weather is milder, tourists from neighboring states and other parts of Pernambuco visit cities such as Garanhuns, Gravatá, Triunfo Taquaritinga do Norte and Brejo da Madre de Deus. The city of Garanhuns holds an annual Winter Festival, in the month of July. The main attractions are concerts, dances, rural tourism, culinary and the relatively low temperatures for a tropical climate. Recife/Guararapes–Gilberto Freyre International Airport has been open since July 2004 and has 52 thousand square meters of area. The largest airport in the North and Northeast regions, Guararapes had its capacity expanded from 5 million to 11 million passengers a year. Now there are 64 check-in counters, versus the former terminal’s 24. The shopping and leisure area was also totally remodeled, within the “Aeroshopping” concept, which transforms an airport into a center for business and retail. The commercial spaces will be occupied in steps and the final total will be 142 shops. Since 2000, Recife has had the longest runway in the Northeast, at 3,305 meters. Its extension permits operations with jumbo jets, such as the Boeing 747–400, able to fly nonstop to anywhere in South and Central America, Africa and parts of Europe, the United States and Canada. Pernambuco is also served by the Petrolina International Airport, which is responsible for the delivery of fresh fruit from the São Francisco valley to Europe and the USA. The cargo terminal operates with 6 large coolers with 17000 boxes capacity each plus 2 coolers tunnels. This airports also has daily direct connections between this region (which includes 53 municipalities from the states such as Pernambuco, Piaui and Bahia) to major capitals as Recife and Salvador. Like the Recife airport, it is administered by the Brazilian Federal Agency (Infraero). Other locally administered airports within the state are the Fernando de Noronha Airport and the Caruaru airports. The first has daily flights between the islands with Recife and Natal, and the second airport connects the textile industry region of Caruaru with São Paulo and local cities. Suape port. Suape serves ships cargo 365 days a year without any restrictions in regards to tidal schedules. To assist in the docking operation of the ships, the port offers a monitoring system and laser ship docking system that enables effective, secure control and upholds the same technical standards as the most important ports across the globe. The port moves over 8.4 million tons of cargo a year (has increased 7 times since 1992). The liquid granary (petroleum by-products, chemical products, alcohols, vegetable oils, etc.) constitutes more than 80% of the movement. The port can serve ships of up to 170,000 tpb and operational draft of 14.50 m. With 27 km2 of backport, the internal and external ports offer the necessary conditions for serving large ships. The access canal has 5,000m of extension, 300m in width and 16.5m in length. Suape has started in the 21st century to be Pernambuco's motive power toward development. Huge national and international investments are being attracted by its logistic qualities, of which, until 2010, more than US$10 billion are expected. Recife Port handles cruises and cargo. National and international cruises are made in this port, mainly of those connecting Fernando de Noronha islands with Brazil, Caribbean islands and South America. The Brazilian and foreign tourists who come to Recife on a cruise ship will use a new Passengers Terminal (2009) with stores, food court and information kiosks. Also, will have an increase in depth from 8.4 m to 11.5 meters deep, what originates will no longer be necessary to do transfer between large and small ships as before. There are two access channels to the Port, both of natural characteristics. The main one, South Channel, has 260 m of width and 3.4 km (2.1 mi) of extension approximately, with a depth of 10.5 m. The other, denominated North Channel, has little width, about 1.00 km (0.62 mi) of length, and a depth of 6.5 m, and it is used only by small size vessels. Handles an average of 2.2 million tons of cargo annually, and the main loads are sugar, wheat, corn, barley, malt, fertilizers, clinker and kelp. The Pernambuco coastline is 187 km long. There are about 187 kilometers (116 mi) of beaches, including some of the most beautiful in the region, such as Porto de Galinhas, Carneiros and Calhetas. Fernando de Noronha, an isolated group of 21 volcanic islands approximately 540 km from Recife. The main islands are the visible parts of a range of submerged mountains, islets and rocks. The Archipelago of Fernando de Noronha hosts ecological sites ideal for exuberant marine animal life, due to its geographic location far from the continent and well within the path of the Southern Equatorial Currents, as well as the nature of its climate. Porto de Galinhas. It features warm clear water pools scattered around its coral reefs, estuaries, mangroves, coconut trees and a number of other samples of abundant nature richness make Porto de Galinhas a place not to be missed or forgotten. Boa Viagem. Located in the privileged southern Recife metropolitan area, Boa Viagem is the most important and frequented beach in town. It is protected by a long reef wall and has an extensive coastline. Itamaracá island. Separated from the mainland by the Canal Santa Cruz, it has several highly frequented beaches. Among them are Forte Orange, Praia do Sossego and Pontal da Ilha. The island houses the Marine Manatee Preservation Center. Maracaípe, a beach with big waves which hosts a phase of the Brazilian Surf Tournament. Highly frequented by surfers and neighbor to Porto de Galinhas, Maracaípe. Tamandaré. Small waves and fine sand can be found there. Calhetas, a small bay of difficult access. Searched for by many for diving. Coroa do Avião, a small island in the middle of the Jaguaribe River delta, which can be reached only by boat or raft, from Recife or Itamaracá. Football was introduced in Pernambuco in 1902, when English and Dutch sailors disembarked in Recife and played a game of football in the beach. The novelty awoke the interest of the people of Pernambuco, that soon adhered to the game. Recife provides visitors and residents with various sport activities, The city has the main football teams in the state of Pernambuco. There are several football clubs based in Recife, such as Sport, Santa Cruz, and Náutico. According with CBF in 08/12/08, the Pernambuco football Federation has the sixth position in all Brazilian states federations just after SP, RJ, RS, MG and PR; and it is the first in his Northeast region. The Pernambuco football Federation organizes the state championship and the state cup. The first edition of the Campeonato Pernambucano was played in 1915, and was won by Sport Club Flamengo, an extinguished club. In 2011 twelve clubs has played for the title, which was won by Santa Cruz. In 2012 the state was represented in the National highest level of football (Brazilian Série A) by Náutico and Sport. Also, it was represented in (Série C) by Santa Cruz and Salgueiro and in (Série D) by Central. Recife was one of the 12 Brazilian cities that hosted the 2014 FIFA World Cup, which was held in Brazil.